Hardscape « Almony's Property Solutions, Inc.
At Almony’s Property Solutions, we are aware that when a client inquires with us for a hardscape project, they are not looking for an “easy fix” or a “quick job”, but rather for a quality long term investment which they will be able to enjoy for years to come. We believe all hardscape projects, big or small, deserve a touch of individuality to set your property apart from others. Our design team will provide options with an array of material choices and dimensions. We can incorporate a new landscape, or maybe a unique water feature, for a project complete from start to finish. The team at Almony’s can bring all of your dreams together into a design that will work for your property. Almony’s uses an array of hardscape product lines, from EP Henry to Hanover Architectural Products to York Building Products; if you’re wondering about options, we have these for you. 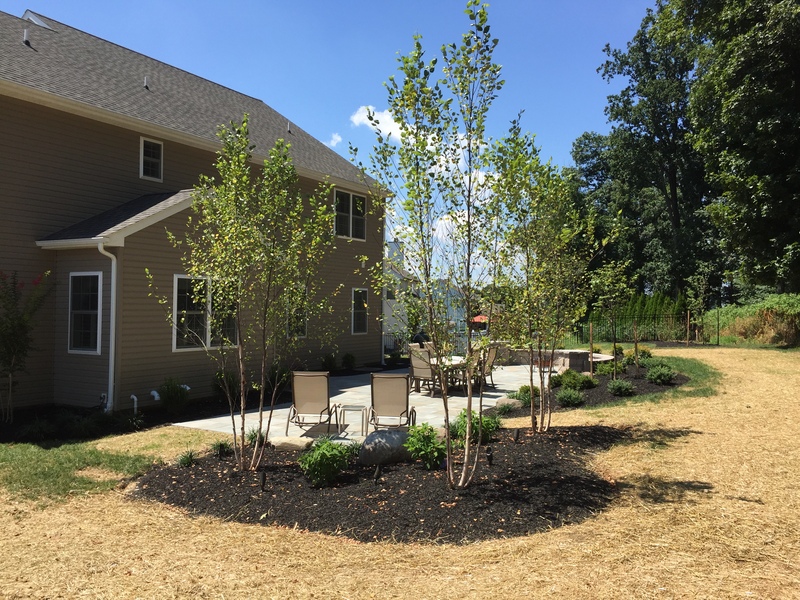 Nothing is more inviting than a backyard with enjoyable, functional hardscapes and a peaceful water feature, surrounded by beautiful, colorful plants and trees. 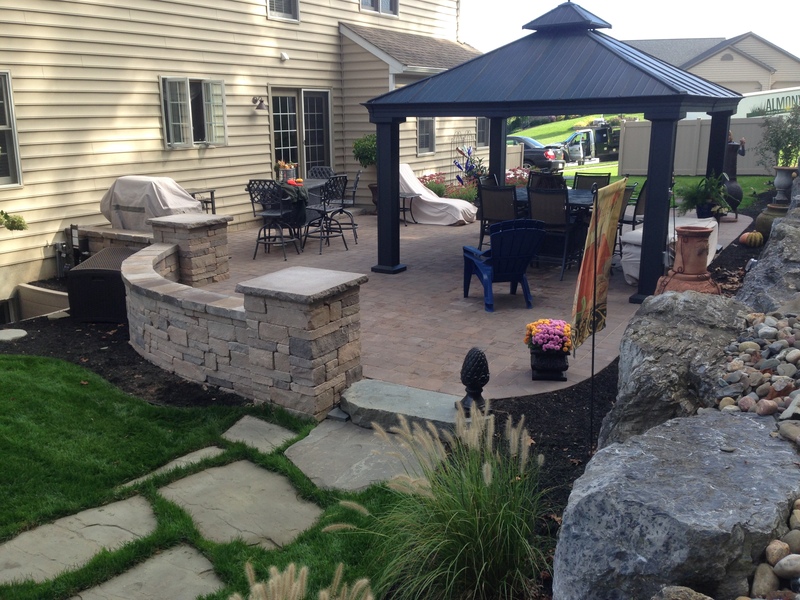 From the entrance to the sitting area and the outdoor kitchen to the fire pit, the team at Almony’s can bring your outdoors to life. We also provide one-time and annual hardscape maintenance. Ask us about our plans! © 2016 Almony's Property Solutions, Inc.